bois de vache: "I guess ths article is supposed to make you feel …" - Guinea Pig Party! I guess ths article is supposed to make you feel good about the guy going to a secure prison but I can only think the prison sounds torturous regardless of what awful things the inmates have done. "One former prisoner, in an interview with The Boston Globe, described the lockup as a &apos;high-tech version of hell, designed to shut down all sensory perception.&apos;"
@boisdevache yup. I taught in a prison that had a "special housing unit" aka supermax. It's a terrible place. Always two doors between you and another human being. @hfrazey ugh, that sounds awful. My views on prison have done some of the most evolving as I&apos;ve gotten older. @boisdevache yup. Now, don't get me wrong, there are people who I think should be separated from society (I am not in the "abolish all prisons" camp). But HOW we treat them matters. 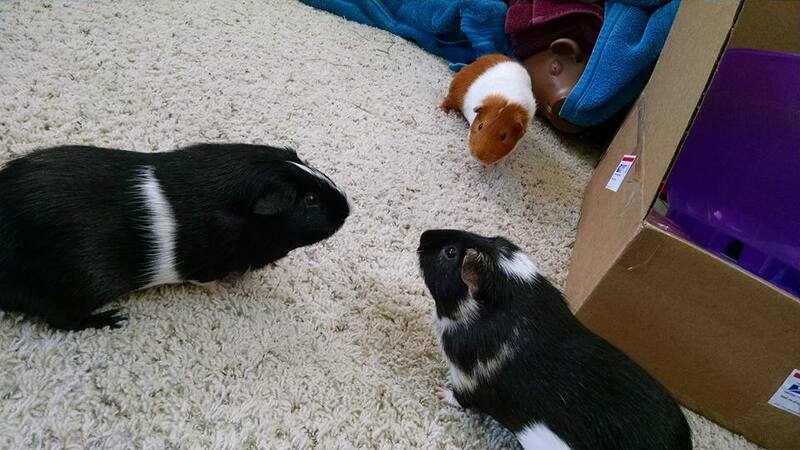 An instance populated by guinea pigs and the humans they take care of.